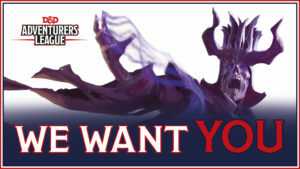 D&D Adventures League is free to play, and no experience is necessary! Characters do need to follow specific or we can help you build your character at the event. The website to Adventures league is in the links below.